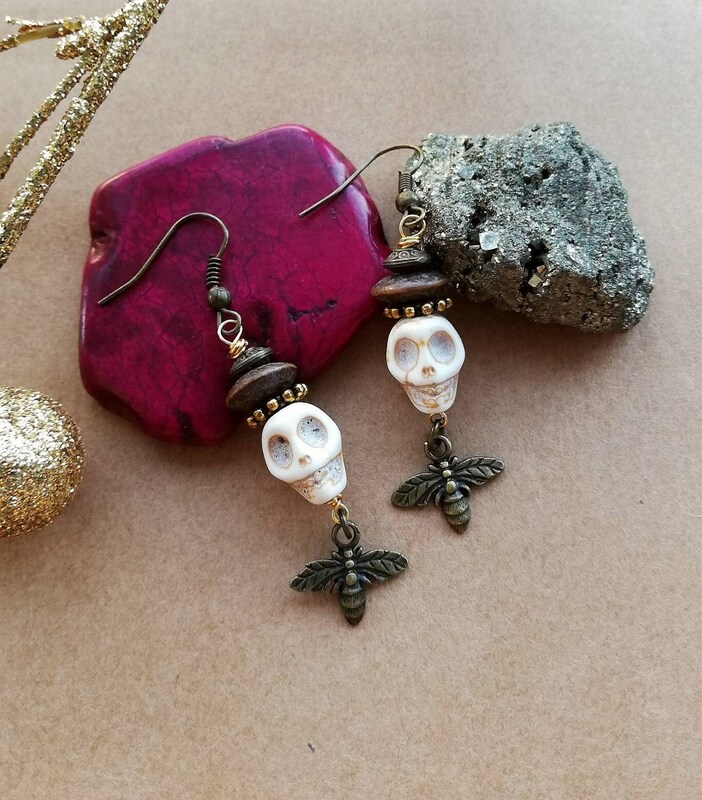 As always, I like to take inspiration for my designs from nature, and in this case it comes from the extraordinary ‘death’s head hawkmoth’. I have included a picture of this unusual moth in the listing. 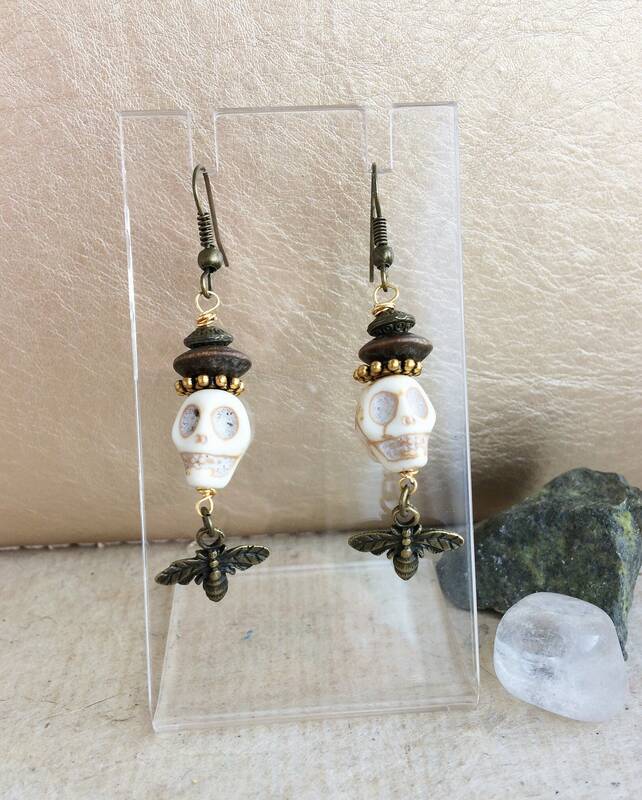 It has a distinctive human skull shape pattern on its thorax. The mythology and legend of this creature make it fascinating and you may have come across it in literature from Stoker’s Dracula, Hardy, Keats or famously The Silence of The Lambs novel. 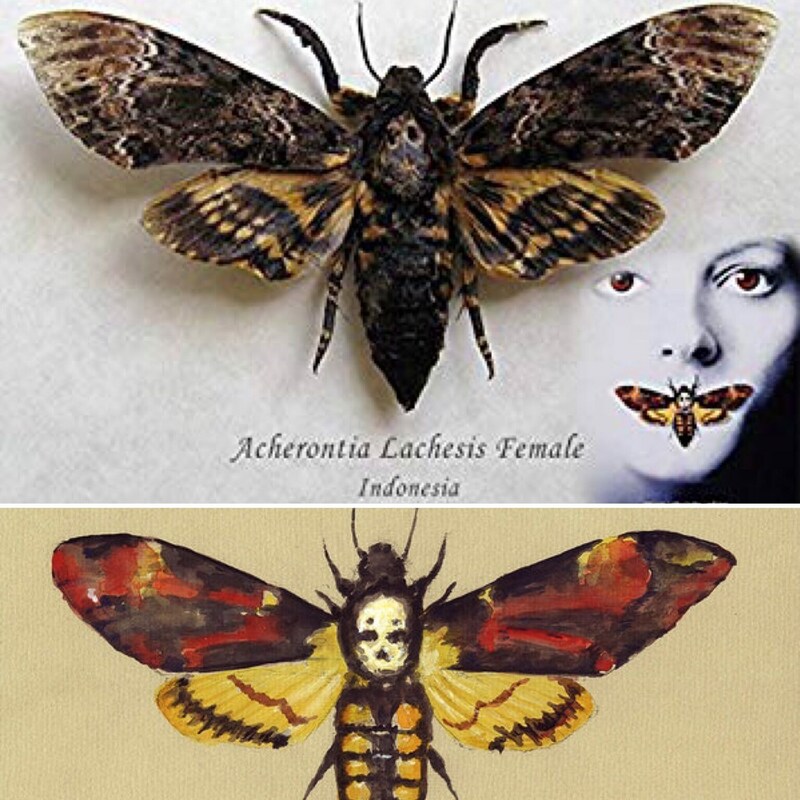 The film adaptation also heavily used imagery of the moth. 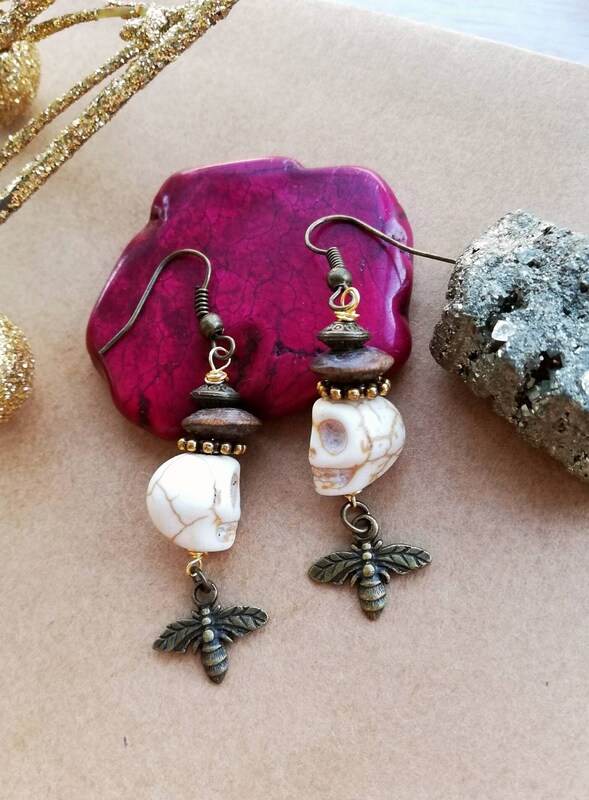 I hope to have achieved the same striking aesthetic with this earring design. 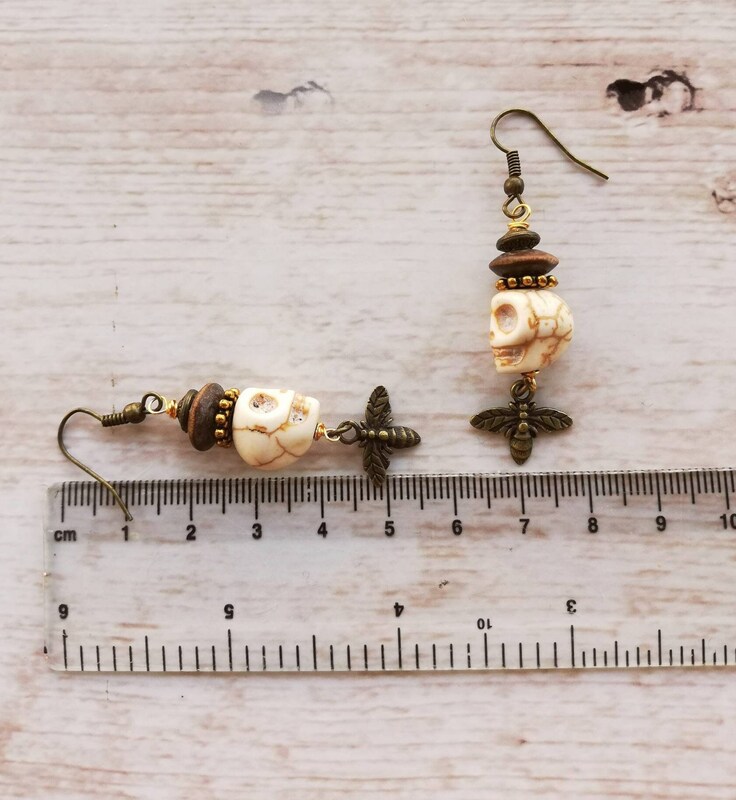 The earrings feature antique brass coloured insect charms (sized 12mm long and 10mm wide at the wings) with the feature bead being a 13mm sized howlite skull bead. 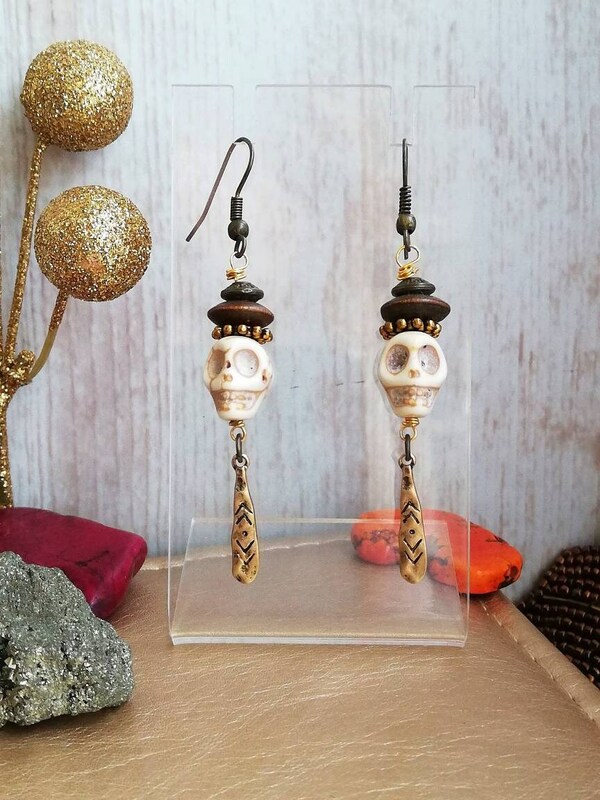 These are three dimensional and each has unique striations and markings of a brown colour against the creamy white colour of the skull. 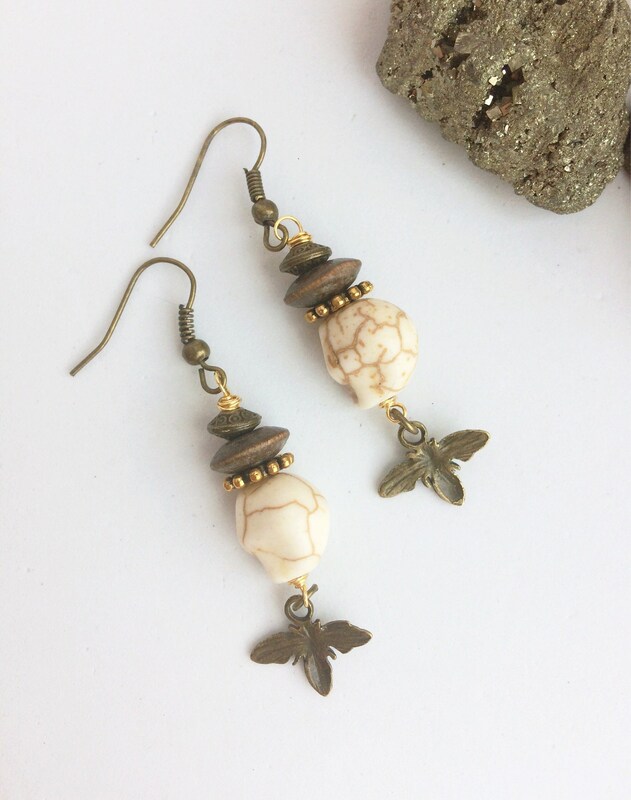 This bead is carved from the mineral howlite. I complimented the design with natural wood beads and vintage gold coloured daisy spacer beads. 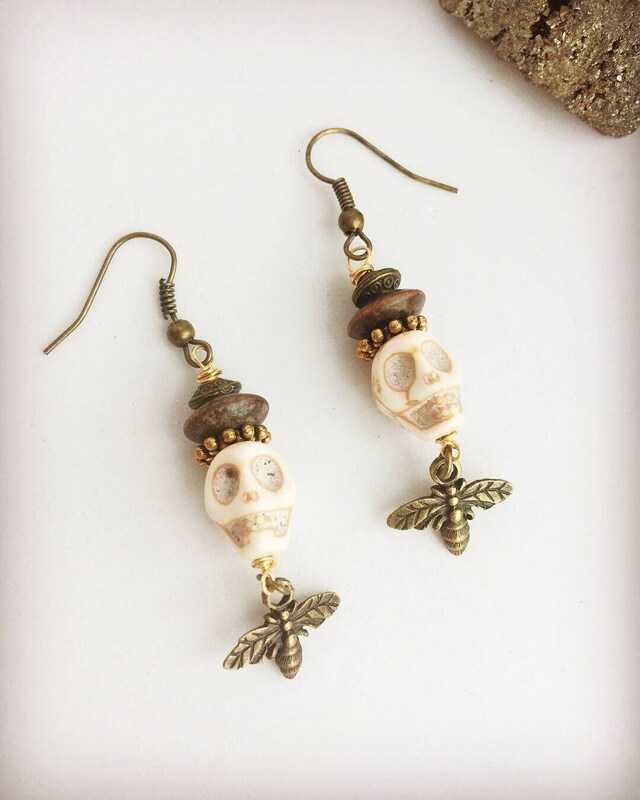 The total drop length of these earrings is 40mm. 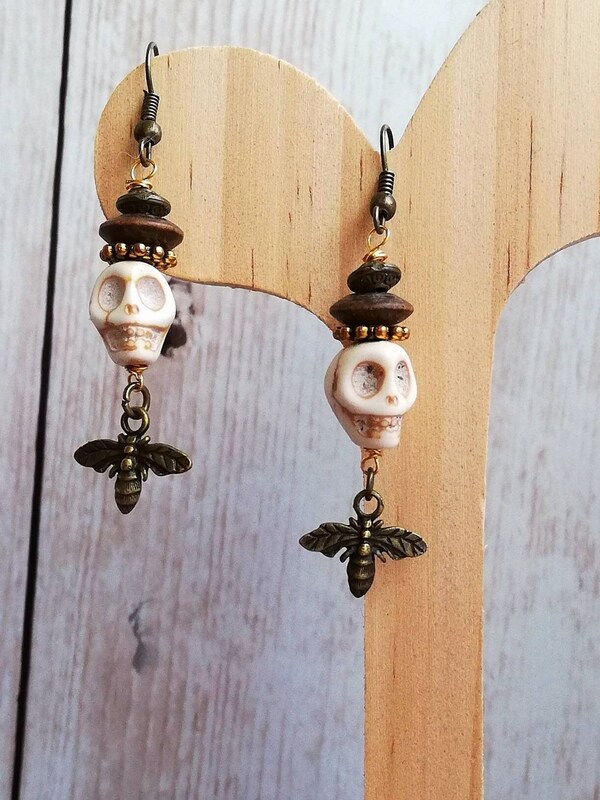 They are finished with copper coloured ear wires sized 18mm.